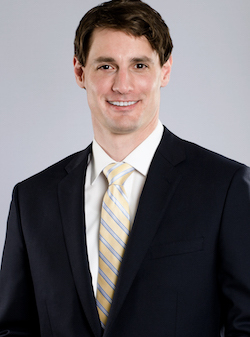 Justin M. Scott is the founder of Scott Employment Law, P.C., a boutique employment litigation firm representing both companies and individuals in employment disputes. Justin handles a wide-range of employment cases, including wage-and-hour cases involving claims of misclassification, unpaid overtime, unpaid minimum wage, off-the-clock claims, and other related allegations. He has substantial experience litigating such matters on a class, collective and individual basis, both on the plaintiff’s and defense side. He also frequently litigates harassment, discrimination, retaliation and failure-to accommodate claims under all major federal employment statutes, including Title VII of the Civil Rights Act of 1964, the Age Discrimination in Employment Act (“ADEA”), the Americans with Disabilities Act (“ADA”), the Family and Medical Leave Act (“FMLA”) and the Equal Pay Act of 1963. Justin additionally drafts and litigates the enforceability of restrictive covenants, including non-competition, non-solicitation and non-disclosure agreements. In a bellwether bench trial regarding the exempt status of Rite Aid Store Managers under California law, the court found that Rite Aid established the exemption when plaintiff performed the job of Store Manager and concluded that plaintiff was therefore exempt for the vast majority of workweeks at issue. Following a jury trial, complete defense verdict for client on the plaintiff’s claims for racial discrimination. Fifth Circuit affirmed summary judgment for client on plaintiff’s retaliation claim, concluding that plaintiff failed to establish a prima facie case of retaliation because he failed to prove that he engaged in protected activity. Obtained preliminary injunction for client prohibiting former executive from violating non-solicitation and non-disclosure clauses of employment contract.